There's a gastro pub in Wandsworth called The Ship. It's a really great find and the food is wonderful. The staff are beyond helpful and so friendly, they have one of THE BEST Brûlée's I've ever tasted. Their one has alcohol soaked dried fruits but I decided to go with an orange syrup soaked sultana compote. This makes 8 smallish ones or 6 large. If your not struck on sultanas it will work perfectly well without. In a sauce pan place all of the above ingredients and reduce down until sticky and syrup like. Leave to one side. Spoon the sultana compote into 6-8 ramekin dishes or teacups. Whisk the egg yolks, vanilla extract and sugar until light and fluffy. Heat the milk and cream in a saucepan until just below boiling. Add to the egg yolks and sugar, whisk vigorously, strain and pour equal amounts into the ramekin dishes. 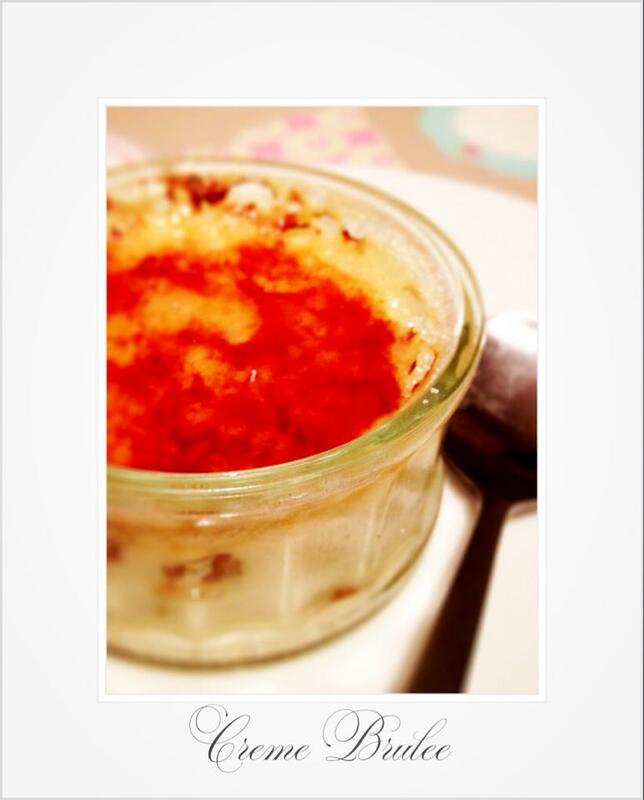 Top each Brulee with a tablespoon of caster sugar and run a blow touch over to melt the sugar.